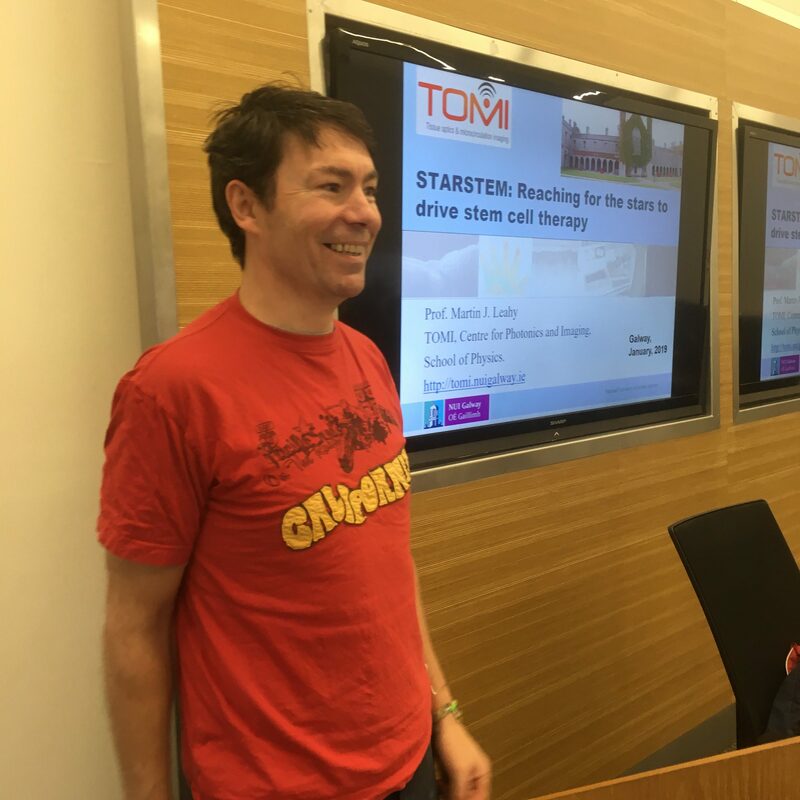 The lecture series was organized by the MSc Cellular Manufacturing and Therapy course coordinator Dr Cynthia Coleman, NUI Galway. This programme is uniquely positioned at NUI Galway to draw on existing expertise in science education, biomedical research, Good Manufacturing Practice (GMP)-grade cellular manufacturing and clinical translation of advanced therapeutics to educate future leaders in these emerging technologies. With the support and expertise located within the Centre for Cell Manufacturing Ireland, the Clinical Research Facility, the Translational Research Facility, the Regenerative Medicine Institute and the Galway Blood and Tissue Establishment, students have access to an internationally competitive MSc programme in Cellular Manufacturing and Therapy.